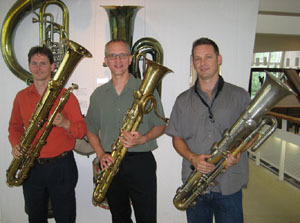 Berlioz Historical Brass consists of a “collective” of musicians who are actively exploring and furthering the understanding of early 19th century orchestral brass instruments. 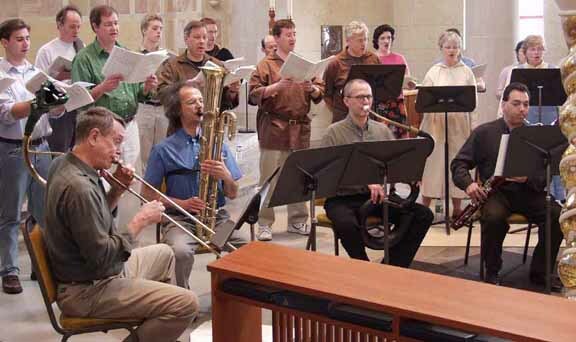 For this reason, the ensemble does not adopt a conventional brass quintet mentality of searching for venues nor does Berlioz Historical Brass define itself by the number of staged performances. Our activities take many forms—performances, lectures, publications, commissions, endorsements—and typically occur individually or in conjunction with others. 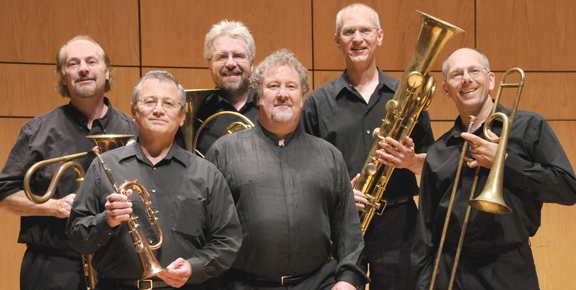 With the premieres of Berlioz Historical Brass's two commissioned works, Les Mots de Berlioz and Mendelssohn’s Seasons, the ensemble is no longer actively staging concerts. 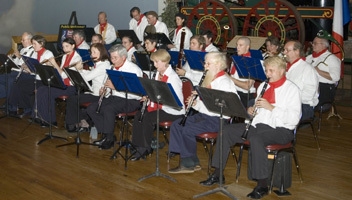 Individual members continue to perform with various ensembles; however, the group has turned its efforts towards research and the advocacy of historical brass. 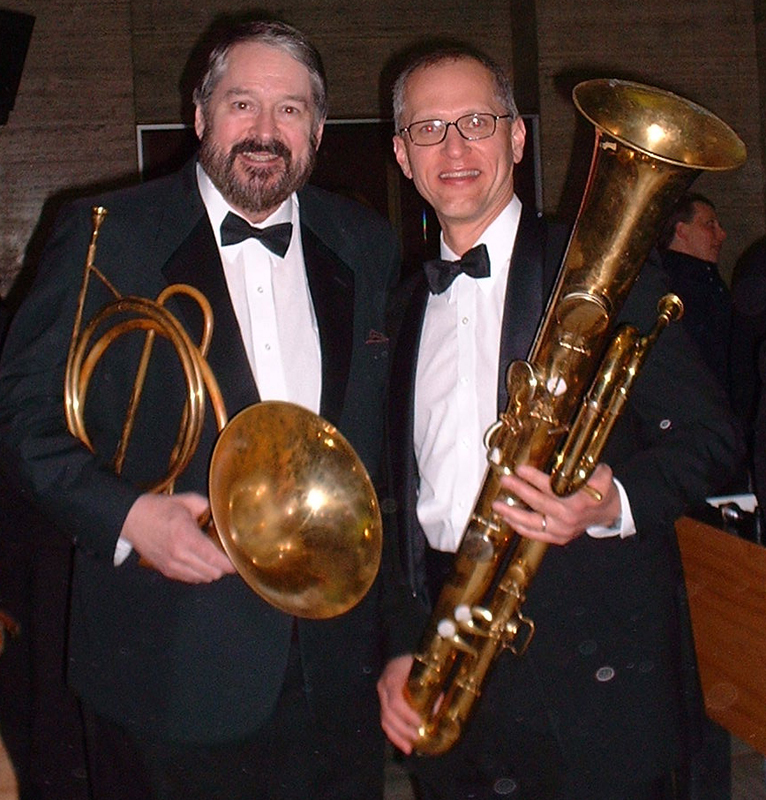 Berlioz Historical Brass presented the world premiere performance of Mendelssohn's Seasons at the 2009 Early Brass Festival. Douglas Yeo performed as soloist with the Boston Classical Orchestra, Steven Lipsett, conductor, for the world premiere presentation of Gordon Bowie's “Old Dances In New Shoes” for serpent and orchestra and Handel's recitative and aria from Acis and Galatea, “O Ruddier Than The Cherry,” performed on ophicleide. Douglas Yeo played serpent with Boston's Handel & Haydn Society, Roger Norrington, conductor, for the performance of “Music for the Royal Fireworks.” Symphony Hall, Boston. 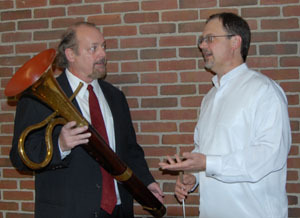 Arising from initial BHB email correspondence pertaining to the sponsorship of Nick Byrne's ophicleide recording, Back from Oblivion, Byrne coordinated a visit to Berlin to coincide with a meeting Douglas Yeo (while on tour with the Boston Symphony Orchestra) had arranged with Erhard Schwartz. The trio recorded an informal reading of “Das treue deutsche Herz,” accessible on Youtube. We are pleased to announce the release of Back from Oblivion, the solo ophicledie recording by Nick Byrne and David Miller, piano, produced by Melba Recordings of Australia. This recording was supported by Berlioz Historical Brass with liner notes written by BHB colleague and composer, Clifford Bevan. 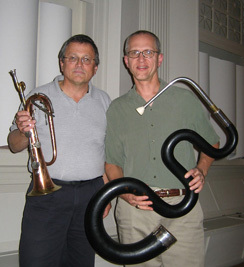 Ralph Dudgeon, keyed bugle and natural trumpet, and Douglas Yeo, serpent, participated in a recording session for the soundtrack for the exhibition, “French Founding Father: Lafayette's Return to Washington's America.” For more information, visit the New York Historical Society website. 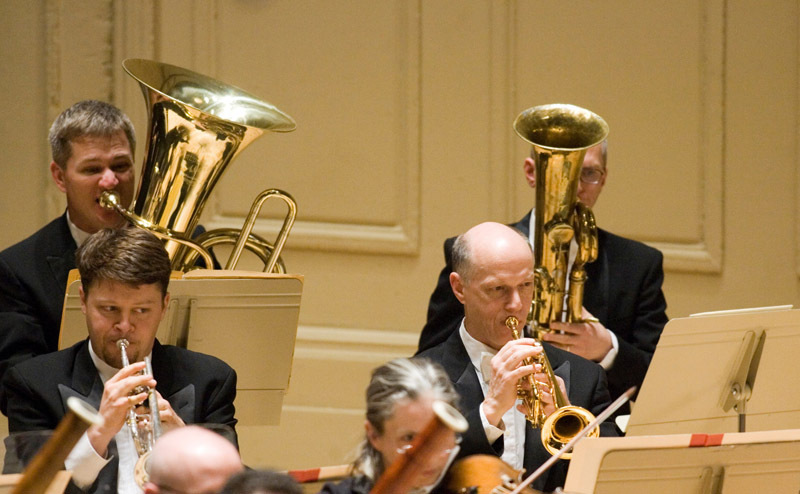 Douglas Yeo, ophicleidist, serpentist, and bass trombonist for the Boston Symphony Orchestra participated in performances of La Damnation de Faust by Hector Berlioz with the BSO, James Levine, conducting; Symphony Hall, Boston. 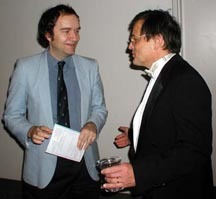 Photo © 2007 Boston Symphony Orchestra; courtesy Michael Lutch. 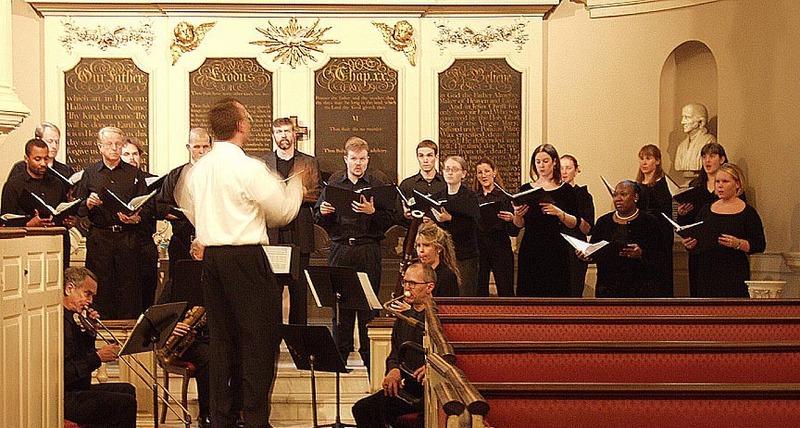 Craig Kridel performing serpent on Canzona Terza by Giralamo Frescobaldi (1583-1643) and Magnificat by Pietro Pace (1559-1622) with Early Interval, Ron Cook, director, at the annual 12 th Night Concert, Columbus, Ohio. 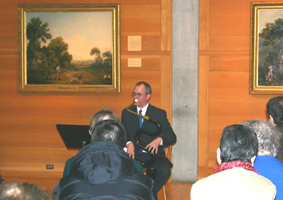 Douglas Yeo gave a lecture-demonstration at the Yale Center for British Art as part of the Art and Music in Britain: Four Encounters, 1730 – 1900 lecture/concert series. “The exhibition . . . featured four rooms of artwork that explored the relationship between art and music in Britain and included display of paintings, engravings, music and musical instruments. The entryway to the exhibition featured Yale's four key military serpent by D'Almaine & Co. (20 Soho Square, London, c. 1812). In fact, the serpent came to symbolize the entire exhibition, as buttons promoting the exhibition showed an image of the serpent. The first room of the exhibition focused on Handel's London: Vauxhall Gardens. In addition to the serpent, an early edition of the music for Handel's Music for the Royal Fireworks (I . Walsh, c. 1749-59) was on display. The room also had a listening station with five musical excerpts including Douglas Yeo and Craig Kridel performing the London Serpent Trio's arrangement of Handel's March from Scipio (from the CD Le Monde du Serpent) and Boston Baroque's performance of the Overture to Handel's Music for the Royal Fireworks [Telarc], on which I play serpent). 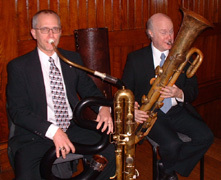 Jay Krush, ophicleide, and Douglas Yeo, serpent and ophicleide, performed with Boston's Handel & Haydn Society, conducted by Jeffrey Rink, for the first period instrument performance in North America of the finale (fifth movement) of Berlioz's Sinfonie Fantastique. University of South Carolina's Fanfare Française, South Carolina State Museum, with the premiere performances of Berlioz Historical Brass-sponsored Sarastro Music editions of marches and dances by Carl Andreas Goepfert (1768-1818) and the Grand Military Piece by John Lewis Hoberecht (1760-1819) edited by Ness Glenn. 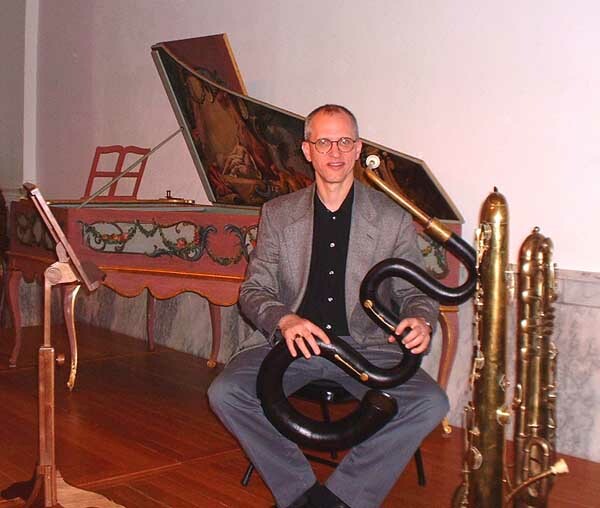 March 18, 2006: explorations with the “early” cimbasso and serpent a pavillon. Photo © 2006 Richard Termine. Reproduced with kind permission. All rights reserved. 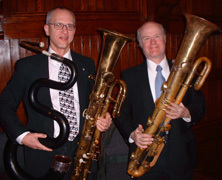 BHB members Steven Silverstein, Douglas Yeo, and Craig Kridel performed “O Serpent,” a work composed by P.D.Q. Bach (1807-1742? 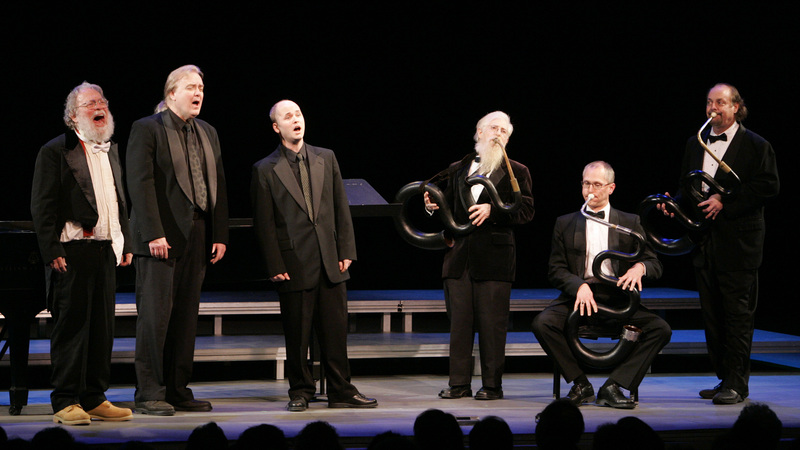 ), for Peter Schickele's 40th anniversary concerts in New York City, “P.D.Q. Bach: A 40-year Retrogressive, An Overview of Classical Music's Underbelly,” staged at Symphony Space. 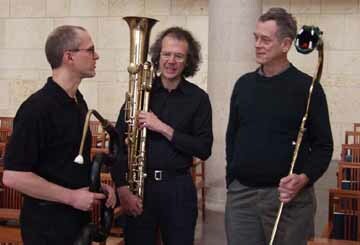 Forming the American Serpent Players, the trio was asked by Schickele to conclude each evening's performance with an encore, for which they performed Matyas Seiber's “Foxtrot” (also recorded on Douglas Yeo's CD, Le Monde du Serpent). The above photograph appeared in the December 29, 2005 edition of The New York Times. Berlioz Historical Brass members Lowell Greer and Douglas Yeo participate in a performance of Berlioz's Romeo et Juliette with Boston's Chorus Pro Musica (Jeffrey Rink, conductor). 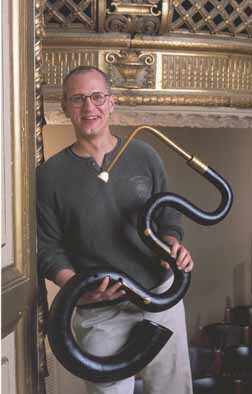 Douglas Yeo presents about the serpent at the Metropolitan Museum of Art in New York City. Keyed Bugle Concerto by Simon Proctor was performed by Ralph Dudgeon with the SUNY-Cortland Symphony Orchestra and the Catskill Symphony of Oneonta, NY. Simon Proctor attended both concert. Serpent Concerto by Simon Proctor was performed by Douglas Yeo with the South Dakota Symphony Orchestra, Washington Pavillion of Arts and Science in Sioux Falls, SD. 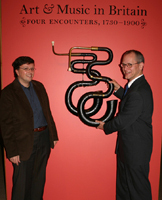 Berlioz Historical Brass member Douglas Yeo performed the Proctor Serpent Concerto with Simon Proctor flying over from England to attend the event and to participate in a very well received pre-concert “conversation with the composer.” This performance was scheduled in conjunction with the National Music Museum's “Beethoven and Berlioz” Festival. 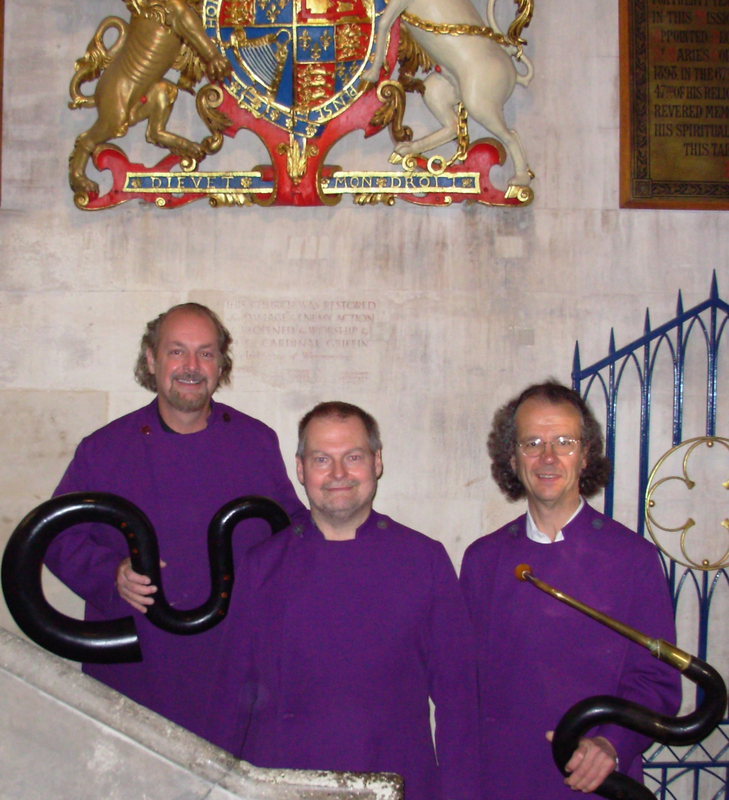 Berlioz Historical Brass [Jay Krush (ophicleide), Ben Peck (buccin), Douglas Yeo (serpent)] and King's Chapel Choir. 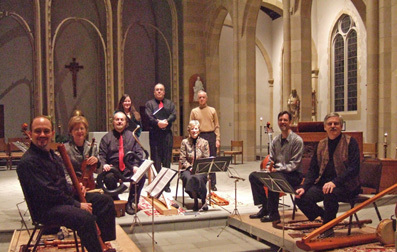 Berlioz's Messe solennelle and works by Handel, Roze, and Du Mont. May 3, 2003: Recording session of Clifford Bevan's Les Mots de Berlioz for Douglas Yeo's Le Monde du Serpent CD recording.